At times a parent can get behind on their financial obligations to the other parent throughout a divorce, sole or joint custody case. If you are far behind, the State of Oklahoma will issue a warrant for your arrest. This will not be a warrant with a surety bond. A bail bond company CAN NOT post a child support bond. It will be cash only bond. Oklahoma child support warrants are fairly simple to clear up. However, you must be willing to pay AND GET BACK ON TRACK! 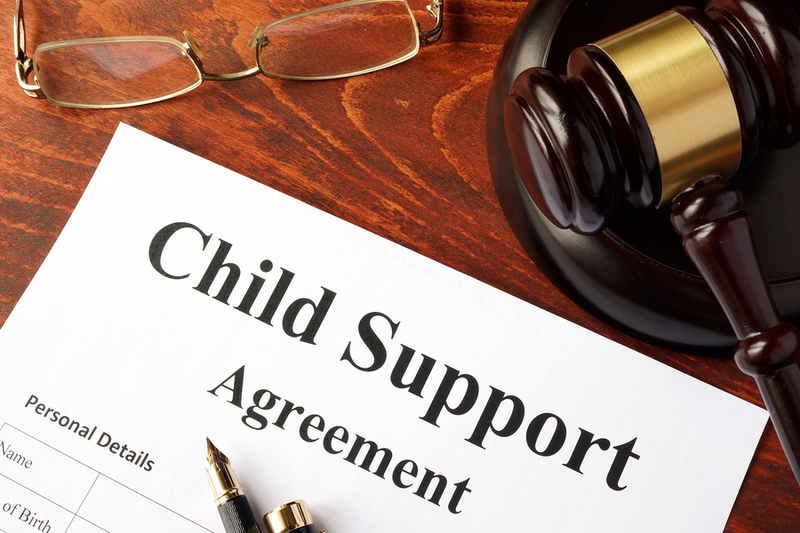 What is a Cash Only Child Support Warrant? On paper, a cash bond means you will have to pay the entire amount owed in past due child support to clear the warrant. If you’ve been arrested, you’ll want to be released from jail. Whether you’re arrested or trying to clear a warrant, the court may expect a full cash payment. However there is a work around for clearing the warrant or being released from jail when you’ve been arrested solely for past due child support. Ultimately, the money needs to be completely paid to the state for your past due child support. However, Oklahoma Child Support Services will accept a partial payment and setting up a payment arrangement which will clear the warrant. REMEMBER… You will have to maintain the arrangement that is made with the state or they will issue another warrant. Recently, one of our agents helped a defendant in the Creek county jail who had a $75,000 surety bond and a $64,578.81 cash only for failure to pay child support. After their arrest the defendant’s family was able to call Oklahoma Child Support Services and set up an arraignment and pay a portion down (less than 5% of total cash only) to release the warrant, which allowed us to bond him out of jail. However they were a prime example of the repercussions of not maintaining the new child support payment arrangement. Because they did not follow through with the agreement and no payments were made the state placed another warrant for $81,315.30 several months later which they were rearrested on. If you have an outstanding warrant for failure to pay child support and have not been arrested call Oklahoma Child Support Services at (918) 295-3500 to get it cleared. You can visit O.D.C.R. http://www1.odcr.com/ and look up your case to find out if a warrant has been issued. If so, you can find out the total cost so you can determine how much you will need to pay for clearing warrant. We recommend being prepared to pay at least 5% of the total bond amount to pay the state. *Disclaimer: Signature Bail Bonds can not give legal advice or represent a client in a legal capacity. If you feel that you need legal advice, contact an attorney.